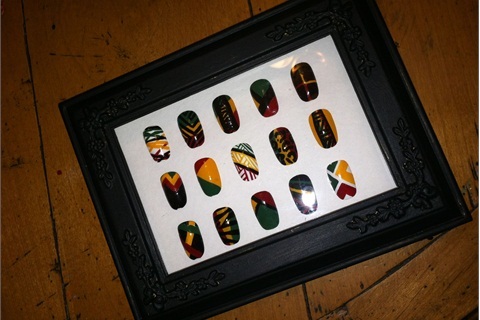 This display will make your nail art look like art fit for a museum. 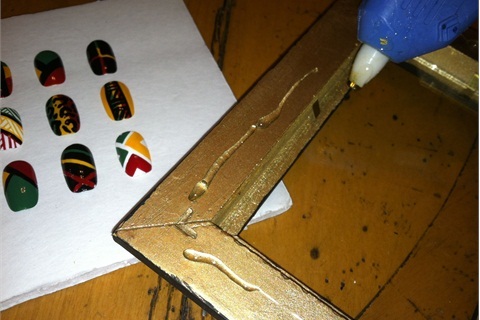 You'll need a variety of your nail art designs on tips, a ruler, posterboard, a box cutter, paint and a paint brush, glue gun with glue sticks, a pencil, and a picture frame. 1. 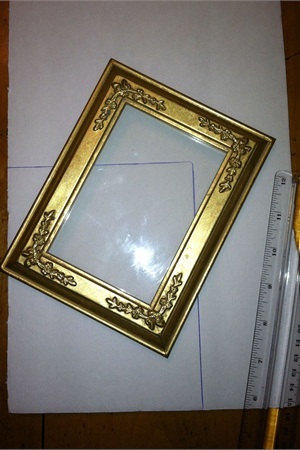 Remove the backing and the glass from the frame. 2. 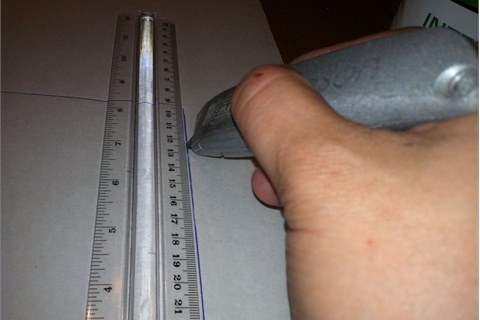 Use the pencil and the ruler to trace the outline of the frame onto the posterboard. 5. 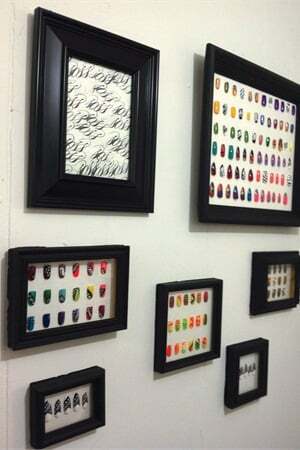 Arrange your nail art tips on the posterboard the way you want them. Glue them in place. 6. 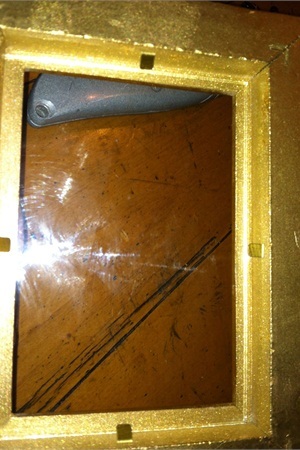 Clean and secure the glass to the frame. 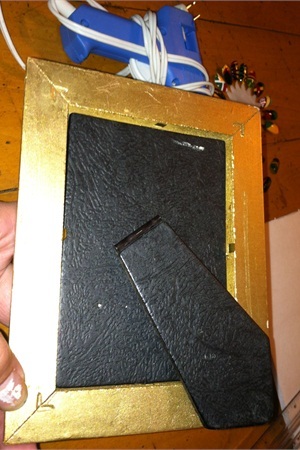 (All I did was push the prongs toward the glass to hold it in place, but using the glue gun also works.) 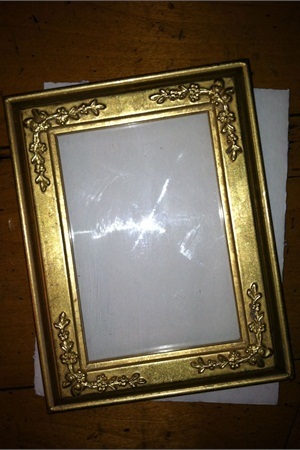 Glue the frame to the posterboard. Work quickly so the board and frame will bond with no gaps. 7. 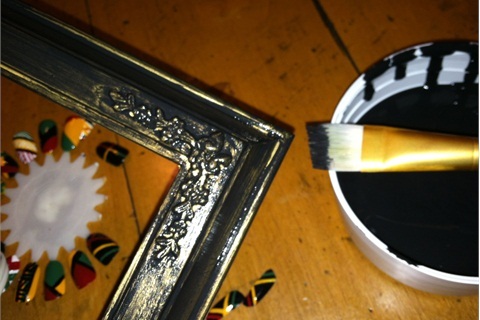 Paint the edges of the posterboard to match the color of the frame. 8. Let dry and hang up! Soileti Hoko works at Soss Nails at the Rawk Shop in Salt Lake City, Utah. 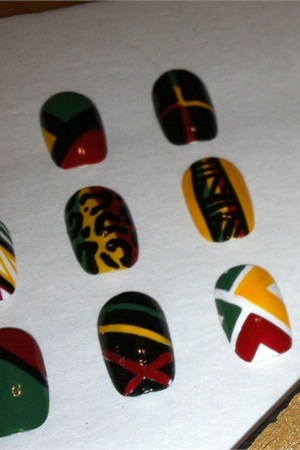 See more of her nail art at http://sossnails.tumblr.com. 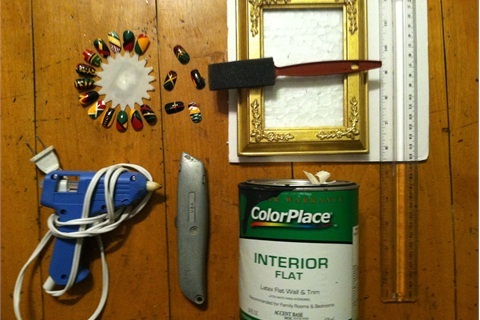 Another word for a product that “treats” the nail (used interchangeably with “strengthener”).